Twitter is on the verge of rolling out its Geolocation API (actually, it’s already partially rolled out). That feature should be a boon to location-based services which can now send their location information back to Twitter and vice versa. But these locations will just be coordinates, it won’t be like Foursquare or Gowalla where you check in to actual places to tag your location. A new group aims to merge the ideas. HashCeratops (yes, that’s really the name) is a group being led by Buzzd, the service that finds hot places in cities based on other location services. One main feed Buzzd looks to for its data is the Twitter stream. The problem is that without a standard for naming locations, it can be hard to parse tweets to find out exactly where people are. Hence, HashCeratops. The idea is to create a community-driven database of hashtags for various places in various cities. So, for example, if I’m going to the local cafe Epicenter, I might use #epicenter to say where I am. 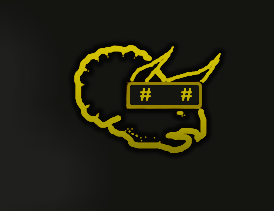 (You can submit requests for formally make place hashtags on HashCeratops’ site.) Of course, if it’s just one service doing this, the likelihood that it will take off is pretty small. But Buzzd has a number of partners on board including Coovents, Geodelic, Xtreme Labs, Yipit, and SocialGreat. Buzzd says it has already started using these place hashtags in elements it sends back to Twitter. Expect the others to shortly. They’re also looking for more partners. Find out more here. 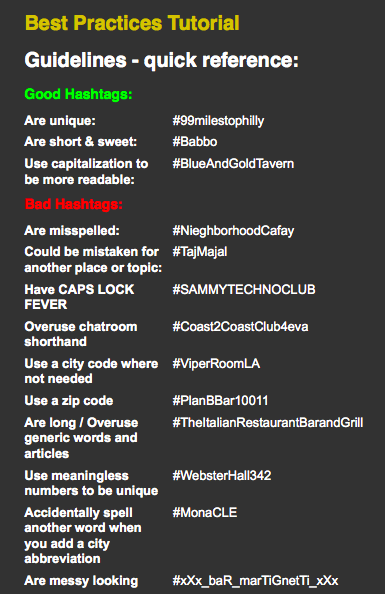 Below, find the best practices for the hashtags HashCeratops is looking for.